The least favorite thing in my garden: Weeds!! 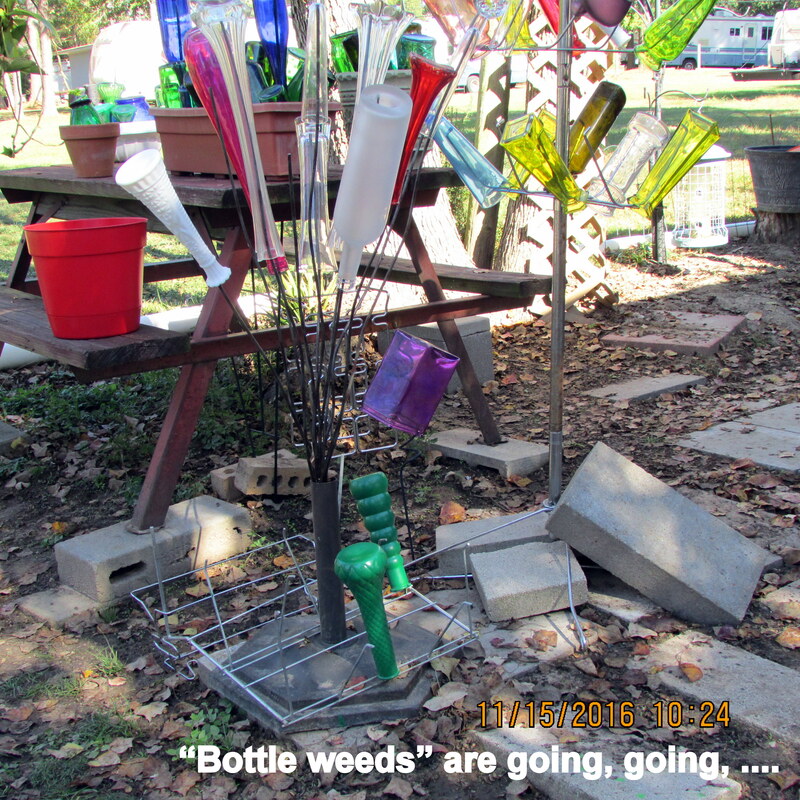 Today, I removed the wire “spiky” things that supported my “bottle weeds.” Hey, it was a novel idea but **not** my most creative project!! 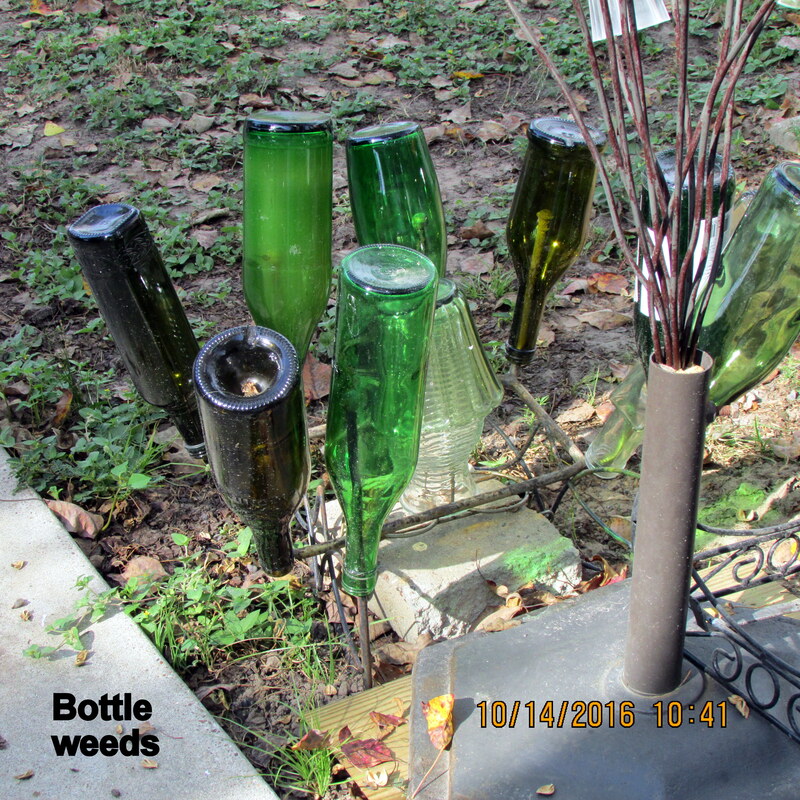 Now I’m adding green bottles to planters to simulate plant growth. More attractive (imho)?! The morning was filled with the mundane task of doing laundry. Honestly, it is very difficult for me to “tear myself away from the garden” for dirty clothes!! Our weather has been absolutely wonderful; I love every minute outdoors. 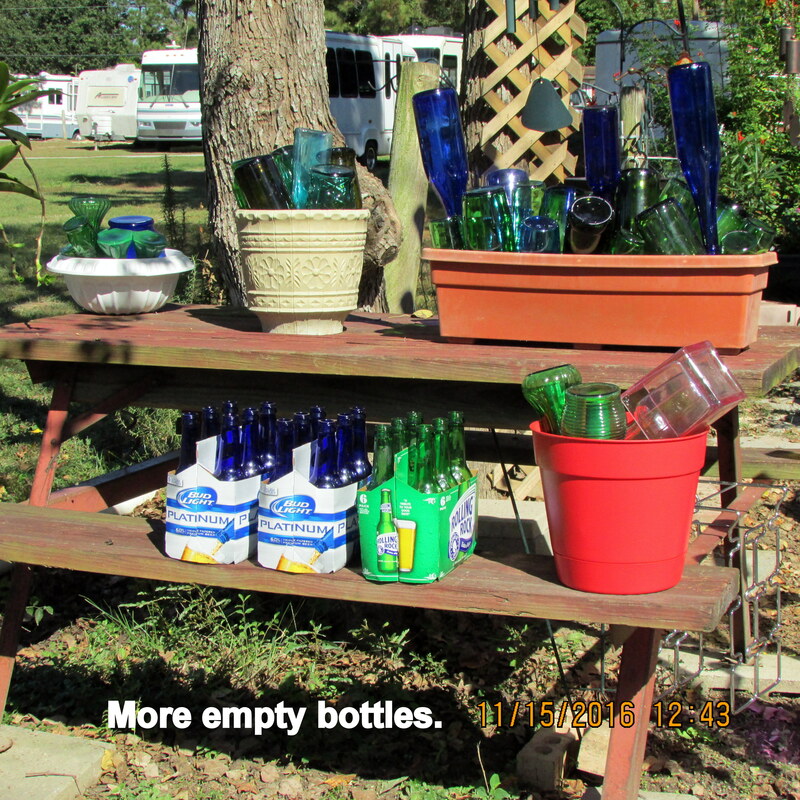 Early afternoon postscript: OMG, eighteen more empty beer bottles!! Roger must be enjoying the free beer?? Previously, I teased him about “one a day” but my tease must have fallen on deaf ears. 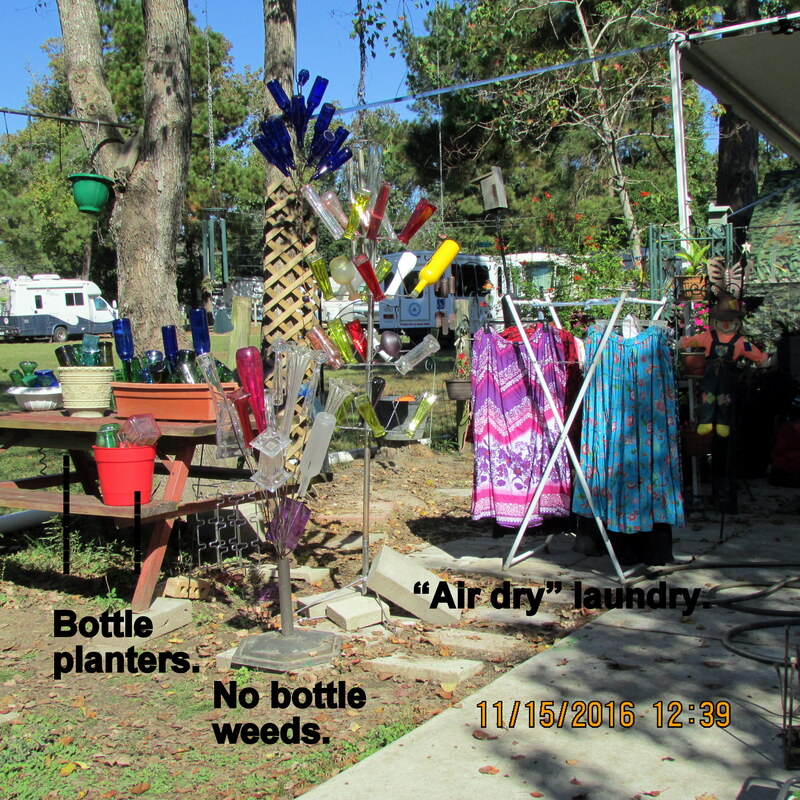 Honestly, I don’t plan to buy any more “bottles” because I have an abundant supply!! ← Beautiful blue “Delphiniums” ! !